George Szell made a demand and a promise in 1946 when he was named the Cleveland Orchestra’s fourth music director: If he were given total artistic control, he would make the orchestra “second to none.” The trustees agreed to his terms, and Szell kept his word. A commanding authority figure and one of the 20th century’s greatest conductors, he quickly fired musicians who did not meet his high artistic standards, hired replacements who fit his concept of a homogenous ensemble, taught players to listen to one another like members of a string quartet and established uncompromising rehearsal techniques that required precise attention to details of phrasing, articulation, rhythm, balance and dynamics. His drive for perfection paid off. By the time the orchestra made its European debut tour in 1957, Szell had transformed it from an excellent regional ensemble to one of the finest orchestras in the world. Szell imposed his will not only on the players but also on soloists who rehearsed with him at the piano, apprentice conductors who were expected to have complete knowledge of every score they studied, workers who cleaned the hall and audience members who were allowed five minutes to clear their throats when their coughing became intrusive. “When George Szell walked into Severance Hall, the columns stood up a little straighter,” said longtime Cleveland Orchestra publicist Louis Hood, describing his imperious boss’s entrance into the orchestra’s stately home. Szell also persuaded the Musical Arts Association (which runs the orchestra) to install a modern acoustical shell that clashed with Severance Hall’s elegant Art Deco interior, and he presided over the opening of Blossom Music Center, the orchestra’s summer home. Szell’s goal as a conductor was to remain true to the composer’s intent, as he understood it. His repertoire centered on the central European classics of Haydn, Mozart, Beethoven, Schumann, Brahms, Dvorak, Bruckner and Mahler. Although Szell performed humorous works by 20th-century composers, he left most avant-garde music to other conductors. 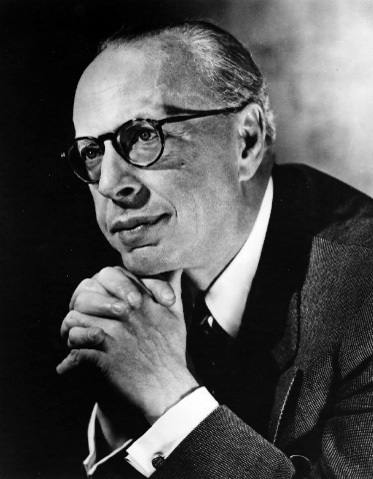 Born in Budapest on June 7, 1897, to a Hungarian father and a Slovakian mother, Szell was raised in Vienna, where he studied piano and composition and made his debut as a concerto soloist at age 11. On tour in England, he was hailed as the "new Mozart’ because of his astonishing ability to remember and write down every note of a score after hearing it only once. Despite his early triumphs at the keyboard, and after dozens of highly accomplished compositions, Szell, in his 20s, preferred the podium. He had made his conducting debut at 16 and subsequently served as assistant to Richard Strauss at the Royal Opera of Berlin. Szell spent his early career conducting European orchestras and opera companies. In 1930, he made his American debut with the St. Louis Symphony. During World War II, he appeared with leading American orchestras and conducted numerous productions at the Metropolitan Opera, where he crossed swords with strong-willed general director Rudolf Bing.